Photo: © Brian Brown/Beer in Big D.
It's been a little over a month since White Rock Alehouse & Brewery unveiled its initial beer offerings in Dallas, and even longer since food service began at the restaurant late last year, but this past week afforded me my first opportunity to pop in and check out what one of the area's newest brewpubs has to offer. 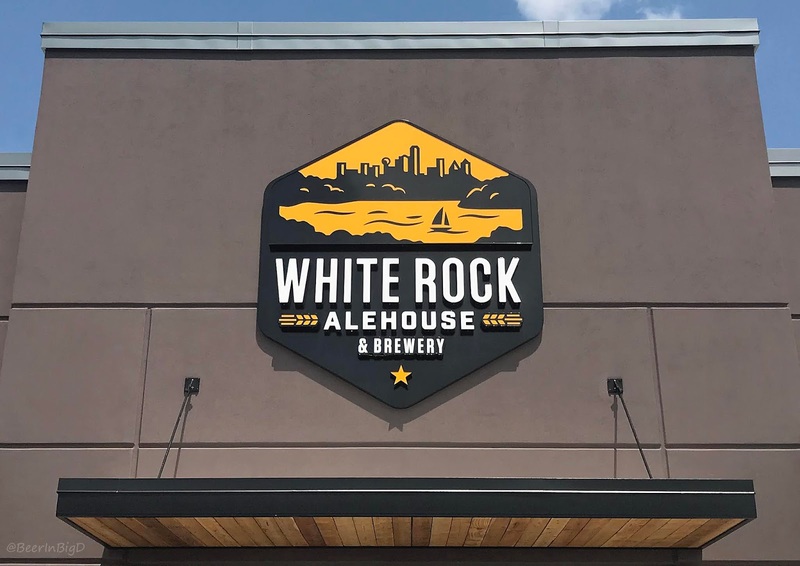 Blake Morrison, whose resume includes stops at Cedar Creek Brewery and, more recently, Whistle Post Brewing Co., is the man behind the beer at White Rock, a place where visitors can expect to find an array of everyday beers supplemented by multiple seasonal selections. "As of now, our mainstays at White Rock will be Urban Parakeet Pale Ale, Big Thicket Blonde Ale, Bonnie Barge Coffee Brown Ale, and IPO IPA," says Morrison. "Our IPO IPA is a rotating New England-style IPA that will have a new recipe each time." served alongside a selection of guest beers (Photos: © Brian Brown/Beer in Big D). Indeed, IPO IPA was already into its second iteration by the time of my visit, with the current incarnation sporting a pale yellow appearance with notes of citrus peel, tropical fruit and a slight finishing bitterness. It won't be the only IPA at the brewpub, however, as Morrison has plans to explore West Coast influences for the upcoming White Rock IPA. 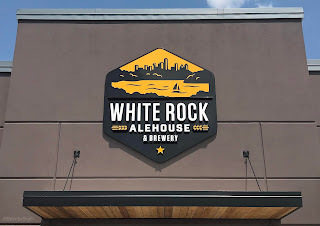 That beer, while likely to end up as an additional year-round option, will first debut as one of White Rock's three summer seasonals. Others set to be released include Bringin' Mexi Back, a Mexican lager, and Texas G(IRL), and India red lager brewed with the 2018 Pink Boots Blend of hops. Created by the Pink Boots Society, the blend features a mix of five hop varieties supplied by YCH Hops - Palisade, Simcoe, Mosaic, Citra and Loral. As for picking a favorite among the beers on tap now, I would probably go with Big Thicket Blonde Ale. It's got a hint of sweetness, to go along with a floral and fruity character, that's a perfect match for outdoor drinking, whether that be by the pint while kicking back on the brewpub's expansive patio, or out of a growler while lounging by White Rock Lake. Judging by my experience, though, you can't go wrong with any of the currently available brews, especially if you're the type that enjoys straight-forward styles (with an occasional twist) that are well-balanced, flavorful and easy to drink. For that, it seems, is what White Rock is about, whether you're drinking inside or out.